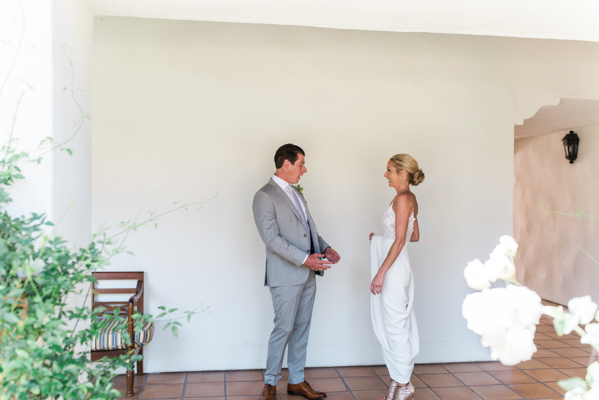 You might be asking yourself, “What is a first look?” A first look is when the soon to be married couple sneaks away before their big day starts to share a private and intimate moment together. Typically, one will stand anxiously and patiently waiting. The other will sneak up behind them, tap them on the shoulder, and they see each other for the first time all dressed up for the big day. The expressions and genuine emotion I’m able to capture during that moment is always unforgettable. They are becoming increasingly popular on the wedding day and for good reasons. So one of the first questions I ask the couple when doing a consultation is if they are planning on seeing each other for a “first look” on their day. Depending on the time of year, the sun will set as early as 4:30pm. If you are planning an outdoor evening wedding, you’ll most likely be getting married when it’s dark out. 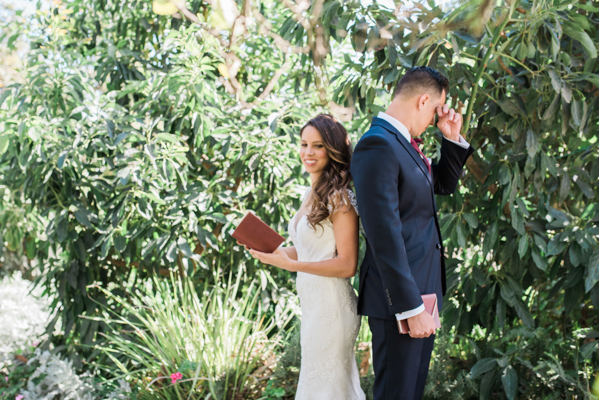 If you wait to take photos after the ceremony, you’ll definitely be needing a flash. If you are looking for that “natural light” look, it just won’t happen. Doing all photos before the ceremony will allow time for you to enjoy cocktail hour and visit with all the friends and family who came to celebrate with you. The day already goes by so fast so it’s the perfect time to get a head start on mingling. 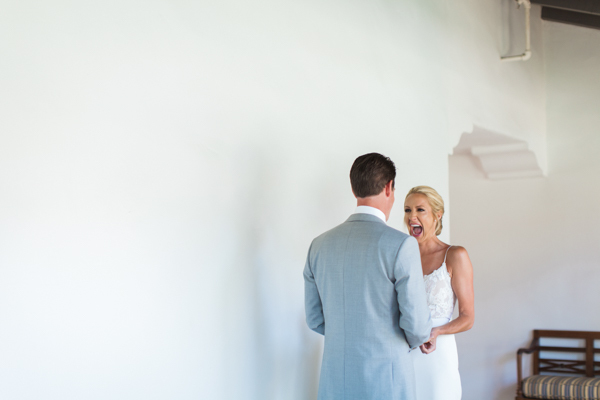 Seeing your honey before the ceremony can also settle any wedding day nerves. Chances are, your sweetie is the one person who can calm you when you are nervous, scared or anxious. Your wedding day will fly by. 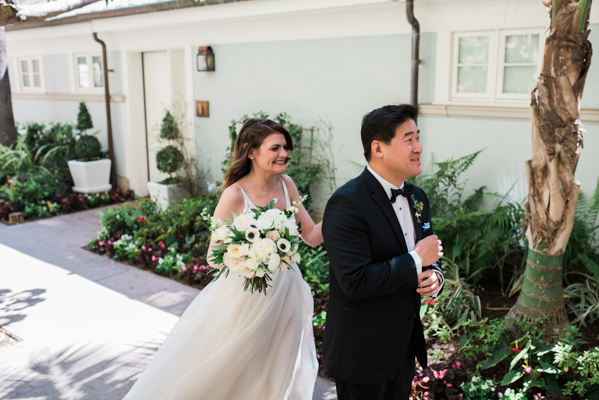 The first look and the moments after might be one of the only times you get some real alone time with each other before you are pulled in for hugs by all of your guests. 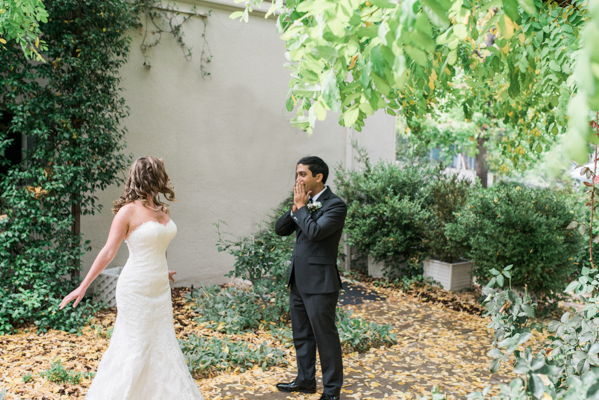 There are less time constraints when you build it into your schedule before the ceremony. Cocktail hour is usually an hour and that’s not a ton of time to get all your formal photos done. This is especially true if you have a large bridal party and family shot list. 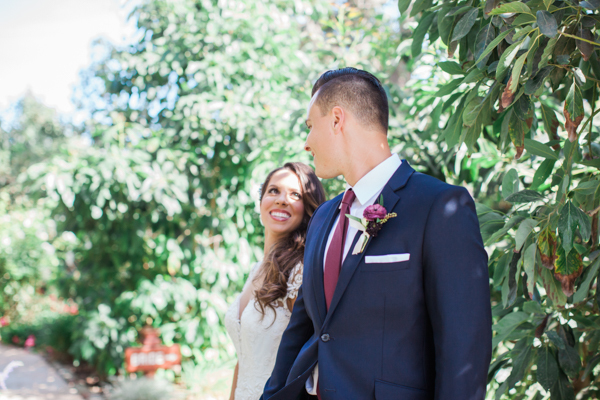 Doing photos before the ceremony, allows you to allocate as much time as you need to get them all done.